“How can the coldest place on Earth create such warm memories?” Sky Atlantic is promoting season two of Fortitude with a new travel website and video. The drama explores the violence and crime hidden beneath a small, tight-knit Arctic community. The season two cast includes Dennis Quaid, Parminder Nagra, Robert Sheehan, Sofie Gråbøl, Richard Dormer, and Luke Treadaway. 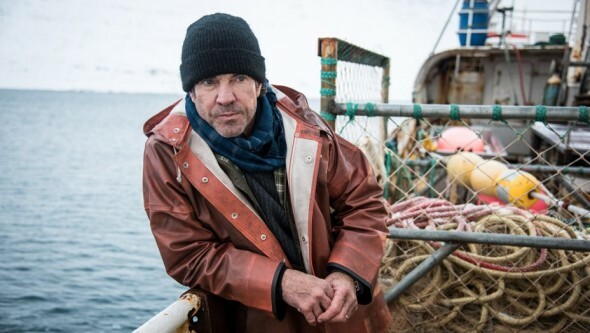 In the video promo, Dennis Quaid introduces Fortitude as a “place for lovers,” highlighting the small-town charm of the Arctic village. The new travel website asks visitors to share their own Fortitude experience via social media and links to the show’s official website. Season two of Fortitude premieres on Sky Atlantic on January 26th. It is still unclear when the new season will arrive in the United States. What do you think? Have you seen season one of Fortitude? Will you watch season two? More about: Fortitude, Fortitude: canceled or renewed?, Sky Atlantic TV shows: canceled or renewed? Can’t wait for Season 2! I’m watching Season 1 again right now! We need a US distributor! Yes, I’m going to be very unhappy if it doesn’t show in the US.